New Year and a New Home! Welcome to 2019! Gorgeous, newly renovated 3 bedroom 2 bath home complete with fireplace on these cold winter nights! New Siding, updated Kitchen, and Bathrooms! Great floor-plan with beautiful new Boylan Heights Hickory flooring throughout. Home features Huge Master bedroom with private master bath. All new kitchen with Black stainless steel appliances, white cabinets & new counter-tops! 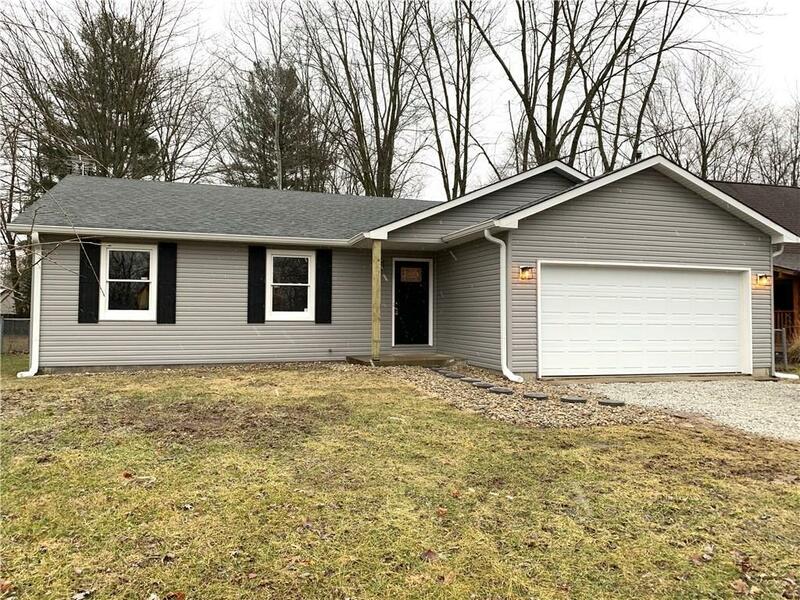 2 car detached garage, enjoy years of a maintenance free home. Fenced in for your pets! Ownership includes access to Heritage Lake, Boat Ramp, Club House, Pool, Tennis, Fishing, Boating, and other amenities. Immediate possession! Everything is new and ready for you! 1 year Home Warranty included in sale!